Born in Huddersfield,West Yorkshire,February 17th 1973, Matt started with the trumpet when he was six but switched to drums at 8. Aged 18, Matt moved to Leeds to begin a three year course in Jazz and popular music at CLCM graduating in 1994. His early jazz influences came from Grady Tate, Philly Joe Jones and Art Blakey. 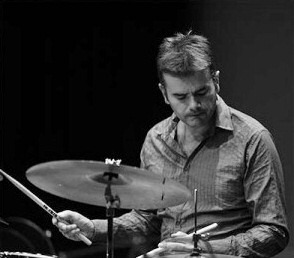 In 1999, Matt moved to London and soon began playing with many great musicians including Barry Harris,John Bunch, Hod O'Brien, Herb Geller, Scott Hamilton, Howard Alden, Ken Peplowski, Bob Wilber ,Joe Cohn, Jim Snidero, Eric Alexander and Gary Smulyan, with whom he completed two UK tours. He has also played in Jazz festivals throughout Europe and South America with Ray Gelato.2007-2010,and recorded with a great many artists including Stacey Kent, Ray Gelato, Karen Sharp, Matt Wates, Alex Garnett, Dave Cliff, Nigel Price, Gareth Lockrane and Allison Neale. Current projects include the Brandon Allen quartet with whom he appears regualrly at Ronnie Scott's club, The Jay Phelps Big Band and the Nigel Price Organ Trio with whom he has had a ten year collaboration.